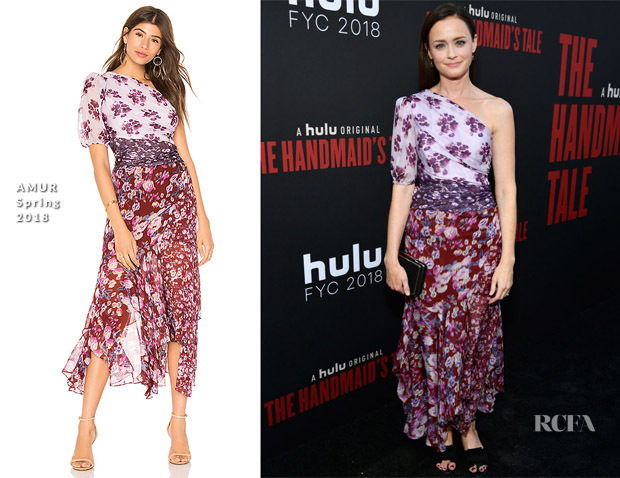 Alexis Bledel attended ‘The Handmaid’s Tale’ Hulu finale screening on Monday (July 9) in Los Angeles, California. Artfully draped from the one-shoulder neckline to the handkerchief hem, this ethereal eco-friendly AMUR dress captivates with a mix of feminine florals and airy ruffles. Some might be unimpressed with her black accessories, but my focus is fully on her frock.